I am a Professor at the Department of Mathematics, UCLA. I work in a number of mathematical areas, but primarily in harmonic analysis, PDE, geometric combinatorics, arithmetic combinatorics, analytic number theory, compressed sensing, and algebraic combinatorics. 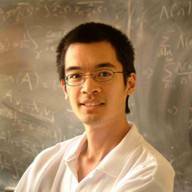 I am part of the Analysis Group here at UCLA, and also an editor or associate editor at several mathematical journals. Here are my papers and preprints, my books, and my research blog. I maintain a harmonic analysis mailing list and contributed to the DispersiveWiki project. I used to maintain a harmonic analysis page for conferences and other links. Think you might know me from somewhere? Here's how you can contact me. If you are a representative of the media, please visit this page instead.